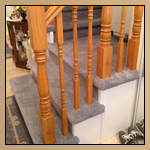 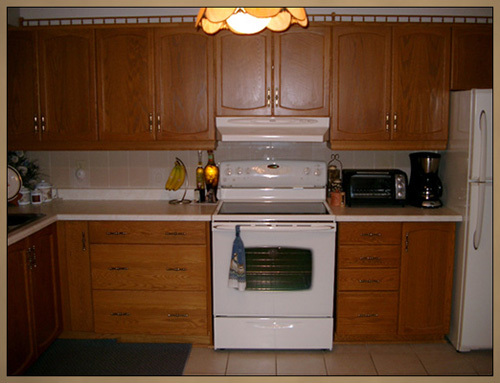 Custom Woodworking – Kitchen Refacing This kitchen only needed a minor facelift. 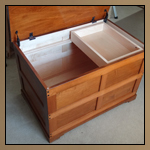 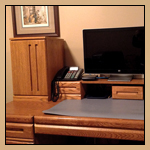 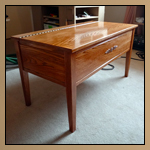 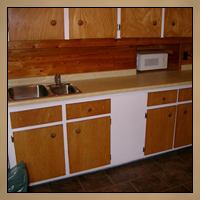 Refinishing kitchen cabinets can be very labor intensive but was cost feasible in this case. 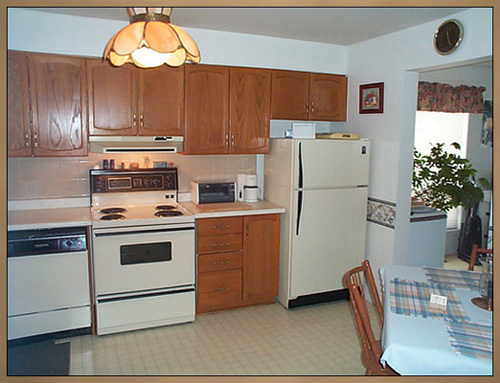 Light rail was added for under cabinet lighting and galley rails were added along the top rather than crown moulding. 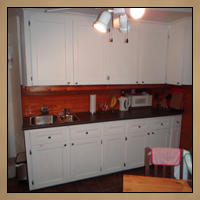 The dishwasher was replaced with a new bank of drawers and custom cabinet along with a custom door and drawer faces to match. 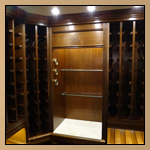 New hinges helped realign the doors properly giving everything a much more tidy, new appearance and feel.